Quite a few things have happened since my last post, and some things that I had made but could not yet show off can now be shown. There have been two farewells from work and I made cards for both. One card was very much like those in my previous post, the other quite different. 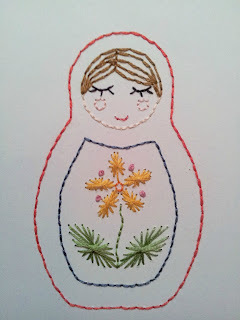 I modified an image from My Sparkle's matryoshka doll ornament tutorial to make it suitable for stitching into a card. 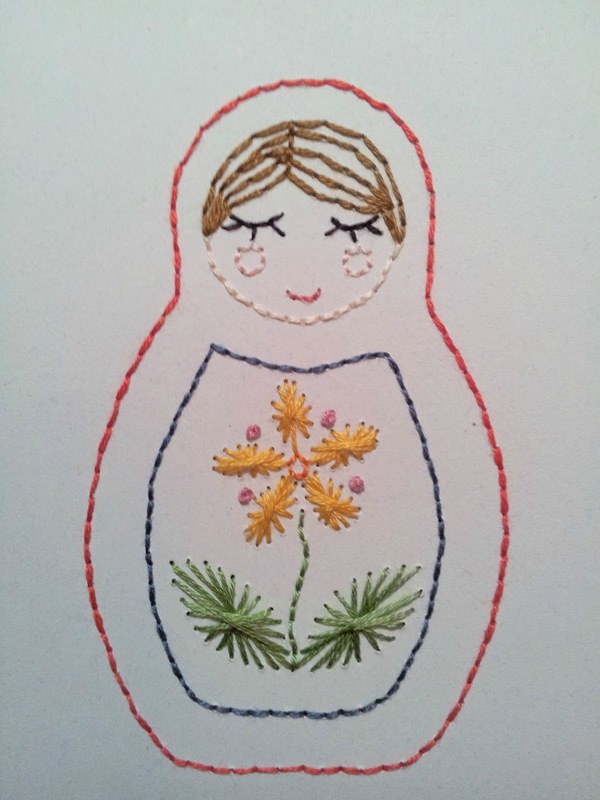 I do love making cards, but I hope not to have to make another farewell card TOO soon. I also took a trip to Melbourne - travel is another thing I love, though this time going on a grand adventure was not an option. I saw many sights and relaxed for four days which was well needed. 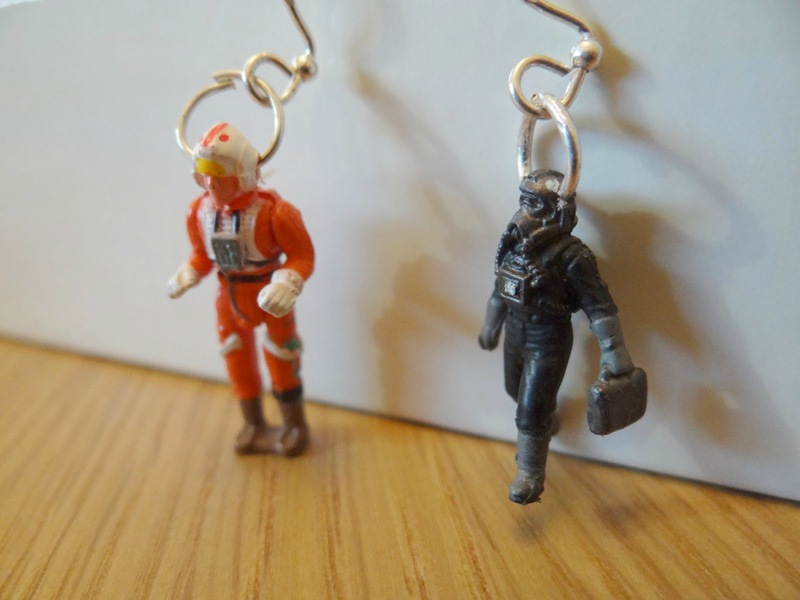 I went to the Esplanade Market at St Kilda where I found these fantastic geeky earrings. There were many single earrings to choose my pair from, but this pair just worked so well? Of course, the food in Melbourne was amazing too. I had meals from all corners of the world and even found a cupcake bakery with more than twenty varieties of cupcakes, that decision was a hard one! The best meal I had was from Xpresso Mondo in Degraves Street. Such a small restaurant that there were no indoor tables, but on a clear night the outdoor tables were very atmospheric. 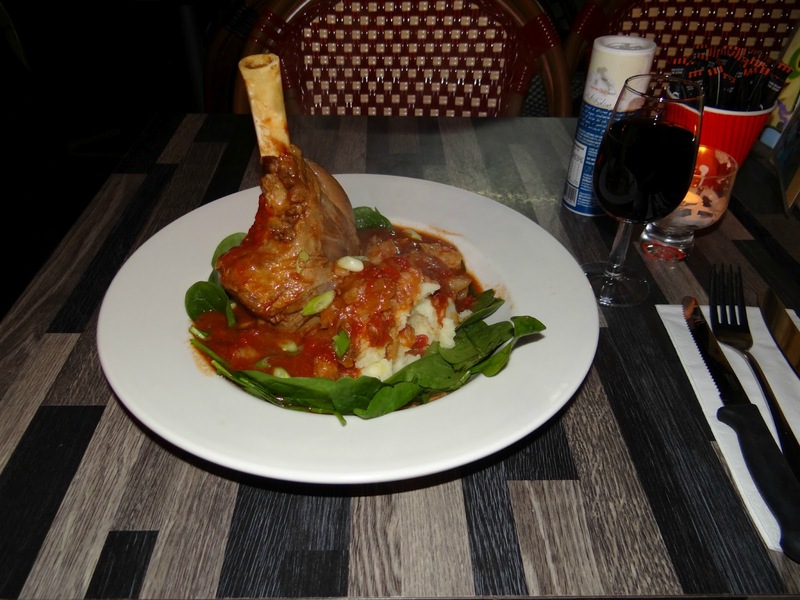 Braised lamb shanks from the specials menu were absolutely delicious and cooked beautifully. I might have missed out on Mum's Sunday roast, but this went some way to making up for it! I did many other things in Melbourne - visited ACMI and played fantastic games at the Best of the Independent Games Festival 2012 display and got to call it a cultural experience! I also visited NGV, wandered around the Fitzroy Gardens and generally had a wonderful time. Now I've got some knitting to do - I bought some sashay yarn at Clegs and am working on making a fabulous frilly scarf.